Apartments in Prague, Accommodations in Prague Easter holidays 2019 are coming soon! Come and visit Prague and stay with us! Welcome to a new version of our website! Please let us know if you find any errors or malfunctioning features or links. If you can't use the reservation form just send us an email with your request and we will get back to you promptly with our offer! Architecture and history lovers should read the following BBC travel piece before they plan their visit to Prague. We can also advise you where to find the lowest airfare for your journey to Prague from many European destinations. 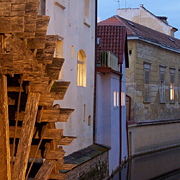 Most of our apartments are conveniently located close to the Prague Castle. 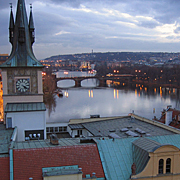 Most of our apartments are all located in the Mala Strana district in Prague. 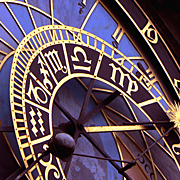 Great opportunity to combine your short break to Prague with a unique theatre or circus performance. Our apartments are situated in the very center of the city. Fast speed internet connection, towels, linens and final cleaning are included, also a local mobile phone, free to use when you want to contact our concierge. Our prices are per night and apartment (up to maximum capacity as indicated). Book now! Hesitating? See what BBC travel reporter thinks of his recent short break to Prague: The Heart of Prague Pumps Lager If you are interested in architecture, history, beer brewing or beer tasting - come to Prague where beer is less expensive than water! The official currency in the Czech Republic is the Czech Crown (Koruna Ceská) abbreviated as Kc or CZK on the foreign exchange sites and exchange rate tables. You can view the valid banknotes and coins on the following site and download a handy application to your phone or tablet before your journey to Prague begins. It will show you what the Czech banknotes and coins look like and you won't get confused when you see them after arrival. Prague has a very efficient and reliable public transport system. Prague trams and subway (Metro) are very reliable and take you anywhere around downtown. All tickets are valid for all means of transport: trams, subway (Metro) and buses. You can change between them as long as your ticket is valid. When visiting Prague you can now use a public transportation pass for 1 or 3 days (CZK110 or €5, CZK310 or €13 respectively). For stays longer than 3 days we can get you a special pass at €4 per day - just let us know and your pass will be ready upon arrival. For more details please visit the following site of Prague Public Transport Company. You can also use their Journey Planner to plan your way from the airport or a railway station, or from any of our apartments to any other site in Prague. Are you planning a visit to Prague this summer? Have a look at the Prague Post - the local English language newspaper which is a great source of news from the Czech culture scene and recommendations for the best upcoming culture events in Prague. This would make your stay in one of our apartments in Prague even more interesting. When looking for a good restaurant in Prague which is close to your apartment please use the list of best local reviewers. For more information on what to do and see in Prague you can look at the following website of Czech Tourism which is available in 19 languages! 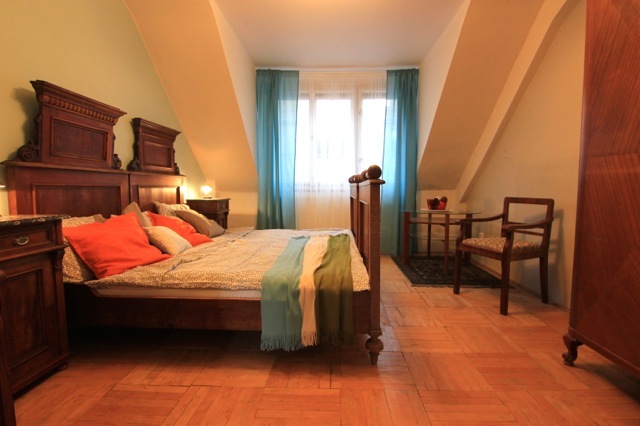 A small family run company offering Accommodation in Prague in beautiful one and two-bedroom apartments for visitors. Our Prague apartments are all located in the Prague city center with prices to fit every budget; ranging from 1500 CZK in the off-season to 6000 CZK in the high season. Please continue reading to learn more about us and our apartments in Prague. Now ALL of our Prague Apartments feature free WiFi internet access!